Knowing who will do what is essential in an emergency. Use this handy tool to assign roles and to keep things organized when you practice your drills! A quick aid to help you make an effective radio mayday call in an emergency. 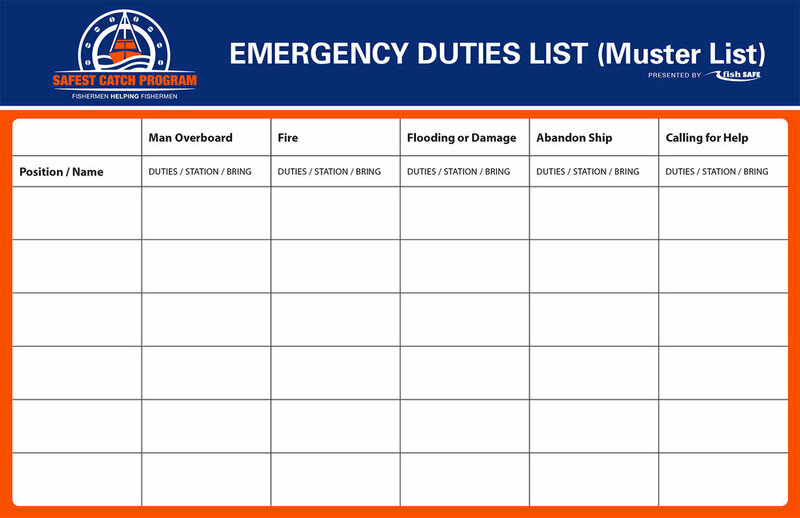 Packed full of handy references, this guide has been prepared to assist you in developing an emergency drills program for your vessel.